The War on Terror has been going on for over a decade and it shows no signs of winding down in near future, a war which has directly contributed to growing security regimes in frontline states. This book focuses on the legal dimensions of the War on Terror and security in Pakistan. 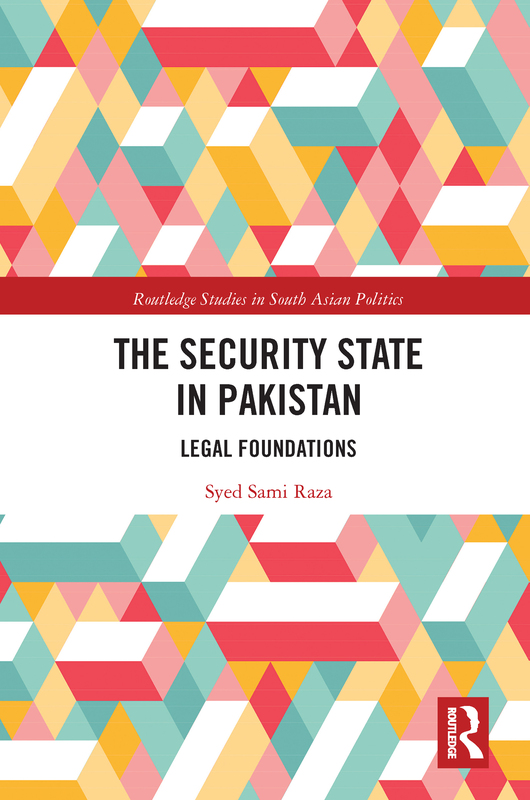 It highlights the growth of the security state in Pakistan, and questions the growing and by-now entrenched legal security regime in the country. The book traces the roots of the present security laws in colonial and post-colonial times. One broader dimension from which the legal security regime of Pakistan is approached in this book is through highlighting specific issues concerning the legal identity of the subject such as the rights of aliens in thebackground of state power versus liberal constitutionalism, and the rights ofterrorism suspects in the background of deploying death sentence as a tactical, psychologicaltool versus the absolute right to life (of every individual). By critically reflecting on the increasingly institutionalized form of the security apparatus in Pakistan, the book (indirectly) suggests the legal ways to resist the growing legal security regime and derogation from human rights. Offering a theoretically engaged and critically reflective overview of the current state of individual identity, rights and freedoms in face of a burgeoning legal regime of security in Pakistan, this study makes advances in critical legal studies and critical IR. It will be of interest to academics working in the field of security studies, South Asian Studies, particularly Pakistan, and the War on Terror.